Kaplan became one of the most respected names in standardized testing through their high-quality prep courses that prepare students for over 90 different standardized tests. Their long-standing reputation is built on creating robust course materials driven by the expertise of professionals. 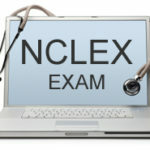 কাপলান NCLEX পর্যালোচনা, available for both the RN and PN exams, is a continuation of their trend for creating well-rounded prep courses. 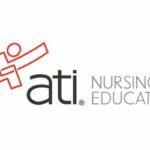 Both programs are offered in multiple course formats, allowing nursing students to choose from the one that best fits their needs. These include in person classes that are held in a physical classroom location, a live online course and self study course that can be taken from home, and a vast online question bank for brushing up on the test-taking experience. Below we will dive into the details of what makes the Kaplan NCLEX review course stand out, including their pros/cons, features and more. I’d rather just get started…. The Kaplan Decision Tree is a system unique to this educational provider that teaches students how to analyze and break down NCLEX questions. Kaplan recommends this strategy with the justification that it can help students to develop critical reasoning strategies and greatly increase their odds of correctly answering questions. This strategy is more effective than mere practice questions because it teaches students to analyze each question in-depth rather than simply memorize factoids. Kaplan offers question banks with more than 3,000 practice questions for the NCLEX-RN course and more than 1,000 questions for the NCLEX-PN course. While the aforementioned Decision Tree program can better prepare students for correctly analyzing exam questions, answering these practice questions can be very helpful in acclimating and preparing them for the actual exam. 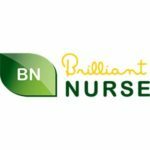 Kaplan offers access to some of their NCLEX-RN questions through a mobile app, which can be of great benefits to busy nursing students who want to squeeze some quick study sessions into their busy schedule. Their mobile Qbank app includes 180 test-like questions with detailed explanations on the correct answers and even allows for the creation of practice exams. It’s rare to find another NCLEX prep program include an app like this at such a low price, further increasing the value of Kaplan’s program. Kaplan understands that not all students are proficient in the same areas, so they designed a diagnostic test that allows them to identify problem areas where extra help is needed. Thanks to this powerful tool, students can customize their study plan to focus on these sticking points while spending less time on sections in which they are more familiar. Kaplan even offers some of their diagnostic tests for free on their website. Kaplan’s NCLEX-RN and PN courses both offer a large collection of video content that covers over 300 different topics. কিন্তু, the majority of these videos are simply narrated slideshows. Some students have found these video lectures to lack substance because of this fact and may have a tough time absorbing the contained information as a result. In person courses are offered by Kaplan in different locations all over the United States that feature a full weekend of instruction with live educators. This can be a great way to learn more about the exam in a short period of time but it can be very costly to arrange for travel and lodging if the nearest test center is far away. Some students have also complained about abrupt cancellations as soon as one week away from the class date. এই কারনে, caution should be exercised if a student is interested in signing up for one of these courses. Kaplan’s NCLEX review courses offer the best package of exam study materials and review options, bar-none. 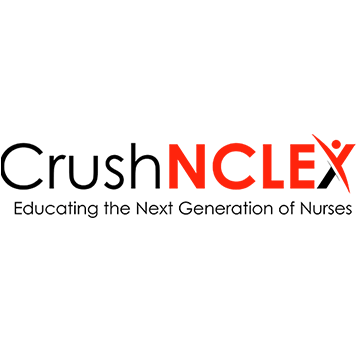 Their NCLEX-RN and PN courses provide convenience and flexibility in their on demand courses, with students being able to choose from self-paced study tools, live online class sessions, and in person classes in select cities. কিন্তু, students interested in this last option will want to be careful and plan for the possibility of abrupt cancellations. Kaplan’s courses come with 3 months access to all of their study materials, providing plenty of time for students to prepare thoroughly for exam day. A Money Back Guarantee shows Kaplan’s confidence that their materials will provide the necessary information to help students pass the NCLEX and removes the risk of wasted money if they fail. Students who have a decent budget to spend on test prep materials and that don’t mind somewhat stale video content will get a great deal out of this exam prep program. সাধারণত, those who are serious about passing the NCLEX on your first try will find that Kaplan is one of their best options. 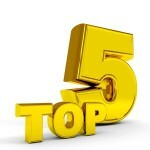 COMPARE THE BEST NCLEX COURSES!